Here is a simple skit that presents Jesus’ Triumphal Entry into Jerusalem. 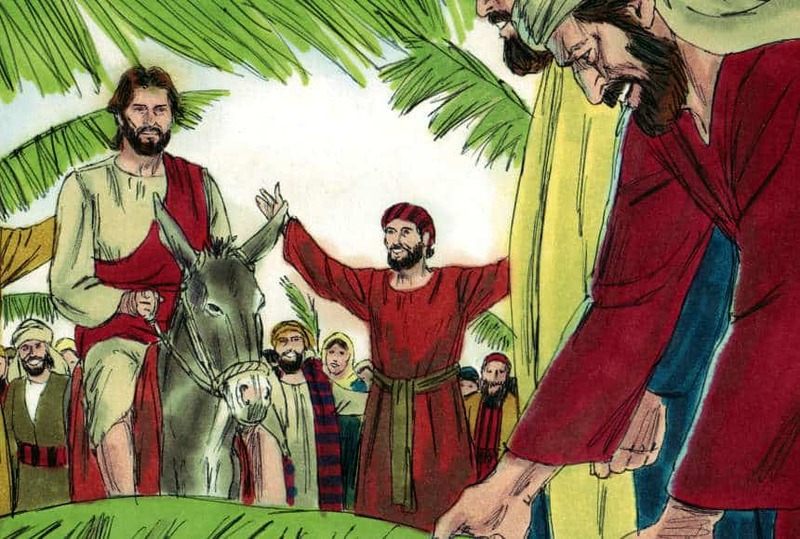 This would be wonderful to have the children in your class act out on Palm Sunday so they know the story of what happened on on the Palm Sunday. This can be done as simply as having the children read the script while acting or as elaborately with costumes and memorized lines. Owner: Why are you untying the colt? Disciple: The Lord has need of it. Narrator: They brought it to Jesus, and they threw their coats on the colt and put Jesus on it. As He was going, they were spreading their coats on the road. Crowd: Blessed is the King who comes in the name of the Lord; Peace in heaven and glory in the highest!